Beige gets a bad rap, I think. Even designers will use the term “apartment beige” to describe a boring, bland beige paint that falls flat and puts one in mind of 80s dormitories. But “beige” is a actually a pretty generic word that includes literary hundreds (thousands?) of wonderfully complex colors that range from soft off-whites to rich caramels and everything in between. An understated neutral lets other elements shine. Wood floors and architectural details can be the star of the show when the walls aren’t screaming “look at me!” Brass elements look especially lovely against a warm beige. A warm beige also works well in a north facing room that doesn’t get much natural light. But with so many beige options to choose from, there’s truly a shade for every room and every lighting situation. 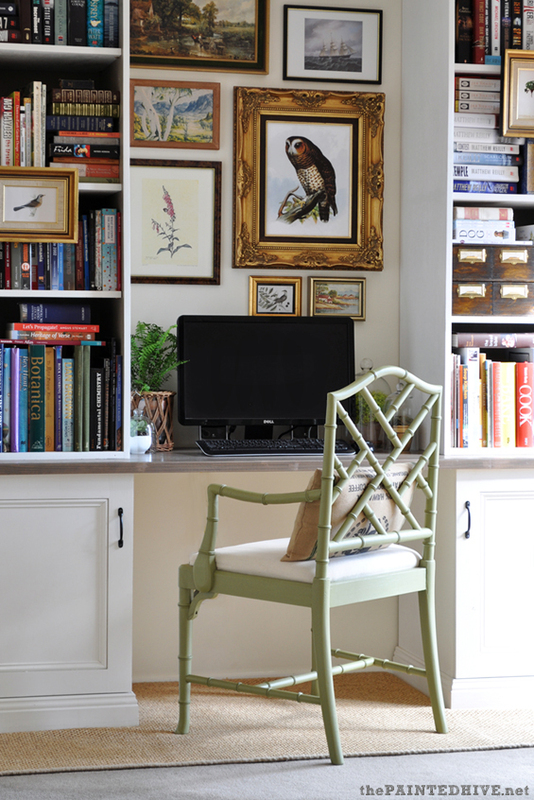 Below are some stunning rooms that feature some of my favorite beige paints. and here again in the breakfast nook. Benjamin Moore’s Pashmina is a slightly deeper grayish-beige that looks gorgeous here wrapped above on the ceiling. Isn’t this a cozy space? Benjamin Moore’s Elephant Tusk. Love. That. Name. 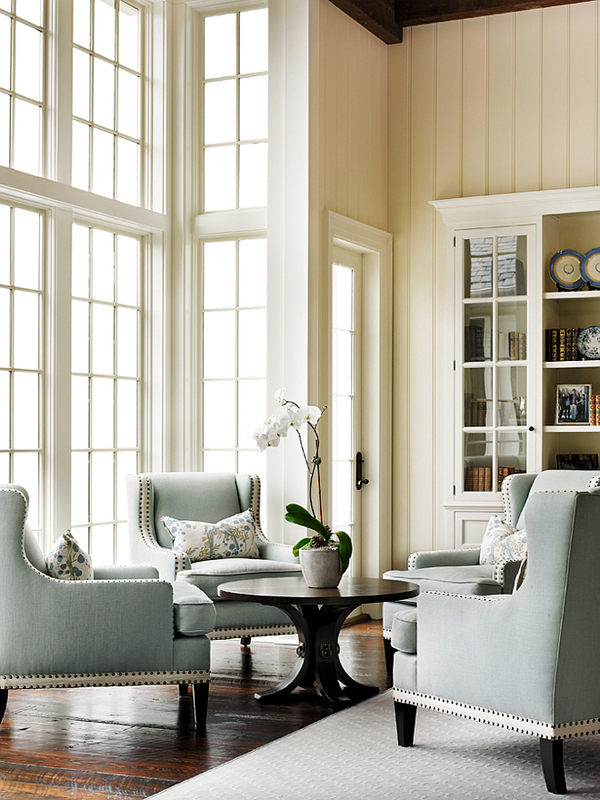 The perfect neutral in this space with those amazing windows. So pretty against the wood tones. Benjamin Moore’s Grant Beige is another greigy beige that reads a little grayer in some lights but is still warm enough for a darker room. Sherwin William’s Accessible Beige is a good all-around beige. I love it here paired with the blue in the adjoining room. As with any paint, it’s so important to sample your beige first throughout the day and on each wall in the room. I do think, though, that these nine paints could be considered “universal donors,” happy just sit and be quietly pretty in most any situations. I have always loved chocolate and a warm rich, homemade brownie is my absolute weakness. This recipe is the best, because it’s the perfect balance of gooey and cakey. Not too dry, not too soft but perfectly perfect and delicious in every way. 1. Position the rack in the lower third of the oven. Butter a 9 x 13 pan and sprinkle with unsweetened cocoa powder. 3. Melt chocolate and butter together in a large bowl at 30 seconds intervals in the microwave. Stir in between intervals until the chocolate and butter are melted together completely and the texture is smooth. 4. Beat sugar into the chocolate mixture with an electric mixer at medium speed for about three minutes. Beat in eggs one at a time. Continue beating for one minute and then beat in the vanilla. 5. Stir, don’t beat, the flour mixture into the chocolate mixture just until incorporated. 6. Spoon and smooth the batter into the prepared pan. 7. Bake for 30 minutes or until a toothpick inserted into the middle comes out with only a few crumbs. 8. Brownies will be easier to cut if you let them cool on a wire rack for one hour…but who are we kidding? Today I’m bringing you ten tips for choosing hardwood floors. Choosing the right style of wood floors for your home can be really difficult, especially when there are so many options these days! Throw in Pinterest and social media overload, and the decision can be really overwhelming. In this post, I’m going to help narrow the options when it come to the style and look you might be going for. What looks great in a magazine or on Pinterest may not be the right style for your house for a variety of reasons. The first place to start is the with the architecture of your home. What style is your house? Is it a colonial? A ranch? A new build? Is it contemporary with less architectural details or is it an older home with classic mouldings and millwork? Do you have areas that are formal such as a separate front living room and dining room? Or is your home a more casual, open design with a large great room? After you consider the architecture and style of your home, take a look at the other wood and brown tones. Do you have a lot of wood trim, wood bookcases or cabinetry? Or do you have mostly painted wood in your home? Do you have a lot of wood furniture? Do you have large area rugs or do you prefer to leave your floors bare? After evaluating the architecture and the existing wood tones, then think about your personal style. 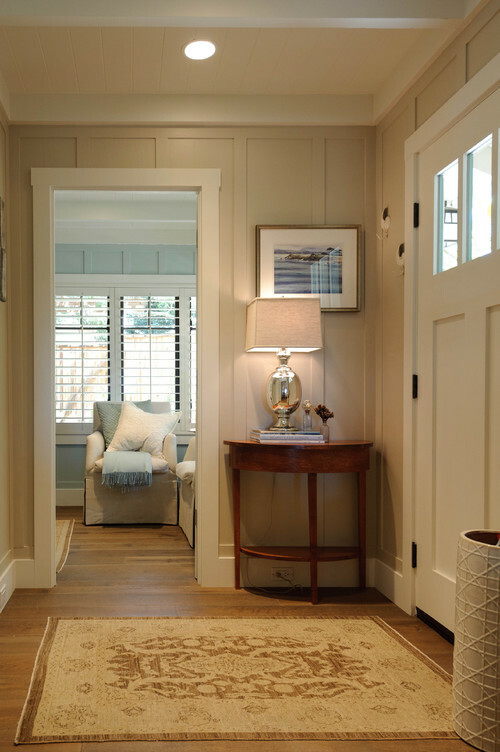 Do you favor a cottage or coastal look? Do you love a farmhouse style? Maybe your style is sleek and contemporary. Think about the furnishings you already have and imagine the contrast against the floor. Envision your new flooring as it looks against the fireplace. Consider the current trends. Highly glossed floors tend to look dated, plus they can show more dust and dirt. Red oak flooring is the most abundant here in the U.S., but can look orangey and dated depending on the stain. A matte finish offers the more natural and simple look that suits today’s home. Wider planks are also trending right now, meaning narrow planks could look a little dated as well. Now that you’ve really looked at your home, you can begin to eliminate some of the flooring options, leaving you with choices that will flow naturally throughout the space without clashing with the existing elements. Use these ten points as a guide. 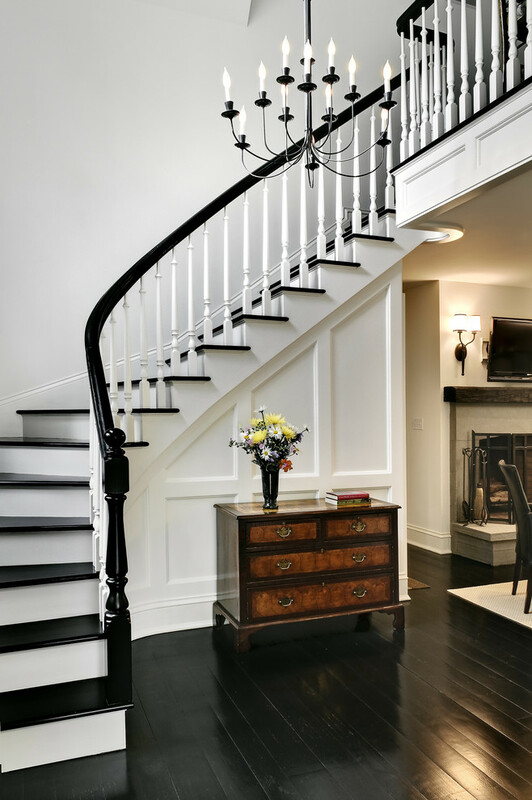 Good choices for a traditional home with formal spaces include darker stains or dark, rich woods such as cherry or walnut. Reclaimed woods, wire brushed and distressed woods and woods with highly defined grain are all suited to historic houses or farmhouse style homes. Thanks to Fixer Upper, reclaimed and distressed floors are all the rage, but this type of flooring doesn’t always work in contemporary homes. If the flooring looks like it’s been around for a hundred years but the rest of your house was obviously built when Trump was elected, there could be a disconnect. Match the wood tones throughout the home. If you have warm, rich wood tones in your house, don’t choose a whitewashed floor. Try to pick up the existing wood tones in your new flooring. If you already have a lot of wood tones in your home, use area rugs to break up the brown. Woods with lots of variation in tone can look “busy” and distract the eye. If you love this look, choose furniture and décor that doesn’t compete with the floor. Lighter woods evoke an airy, casual feeling. Perfect if your style is coastal, cottage or laid back. Lighter woods can offer a more contemporary look if they don’t have a highly defined grain, so be aware if you have a more traditional home or furnishings. Lighter floors offer an easy backdrop for today’s more casual décor. White oak is becoming more popular because of it’s smoother grain and more contemporary look. Remember, the smoother and less defined the grain is, the more modern your floors will appear. Exotic hardwoods are well suited to contemporary homes and décor. Not a good choice for a farmhouse style or historic home. Because obviously exotic flooring was not available to the original colonies. Even an orange was hard to come by. Ebony stains are popular now, offering a sleek, sophisticated look. If using in a historic or traditional home, let some of the natural grain and warmth of the natural wood come through. I hope this post helps to make any flooring decisions a little easier. Good design is really about creating a balanced, natural flow throughout the home. When your flooring choices are consistent with the architecture and style of your house, your home will feel more harmonious and comfortable. 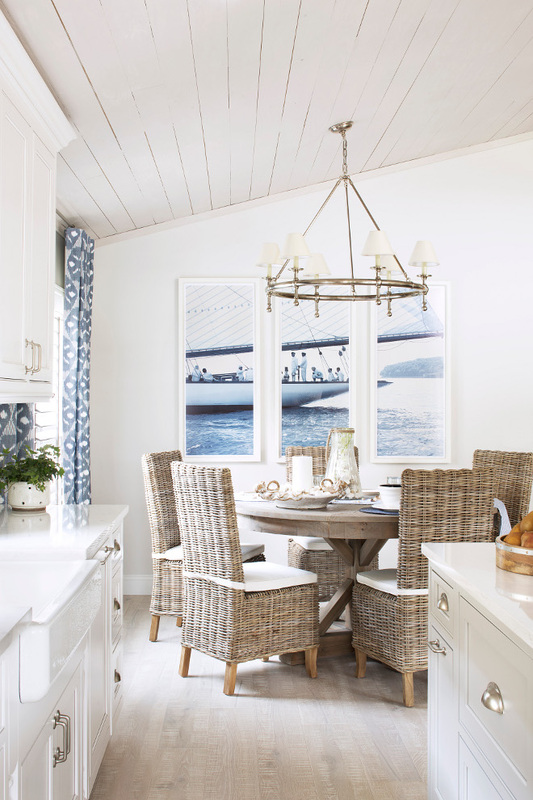 Did you see this post featuring dining rooms with rattan dining chairs? I love the look. 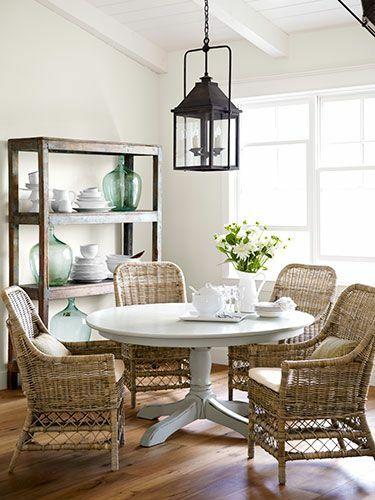 Dining rooms have been slowly losing their formality over the past few years and rattan can be a really beautiful way to keep a dining room feeling casual but stylish. The nature of rattan can help lighten up what’s traditionally been a “heavier” room and the relaxed nature of these chairs encourages people to linger. They can be dressed up or down, and can be found in every price point. Here’s eight of my favorites! 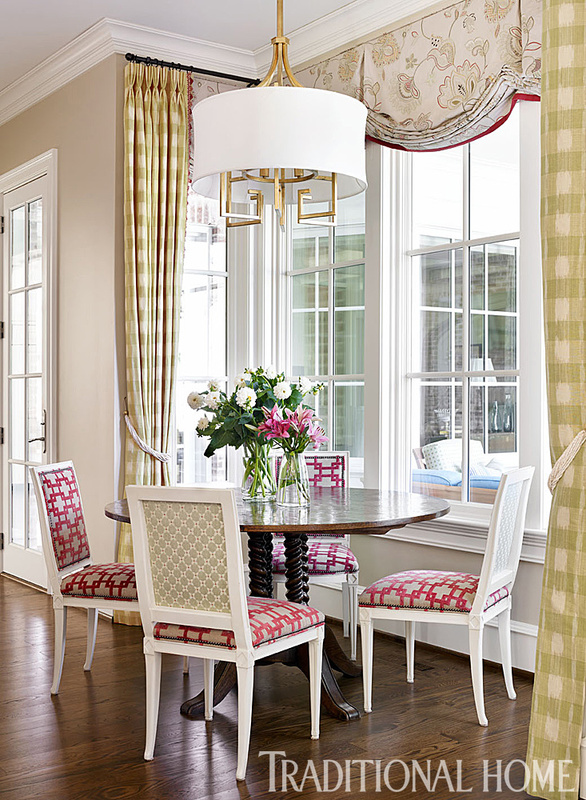 Switching out chairs can be a great way to update a dining room without blowing a ton of money. 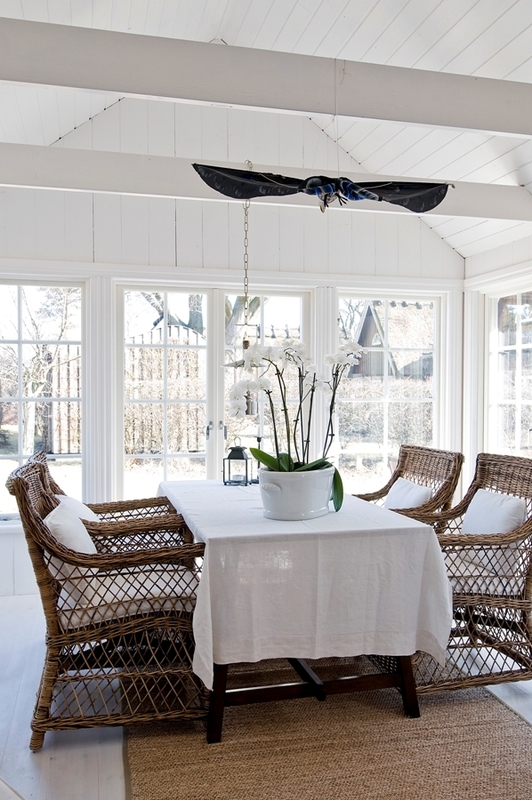 Consider rattan chairs! With so many styles, it isn’t hard to find one that will complement your existing table. Need a little direction? Schedule a consultation! Natural area rugs have become very popular over the past few years and with good reason. They’re inexpensive, easy to care for and layer beautifully with other rugs. They also help lend texture to a room and offer a relaxed, organic feel which I love. They’re at home in virtually in decor style and look equally well in casual and more sophisticated spaces. The three most popular types are seagrass, jute and sisal. All look different and have different qualities and it may be difficult to choose without knowing the pros and cons of each. I’ve owned and worked with both seagrass and jute and but I’d say seagrass is really my favorite for reasons you’ll see below. Seagrass rugs are created from plants grown in marshes, so the material is naturally nonporous meaning it doesn’t readily stain. Spills can easily be wiped off of the coarse weave and it can be vacuumed normally and spot cleaned. It will arrive smelling fresh and “grassy” and with a slight greenish tinge that fades over time. These rugs are extremely durable but do feel rough under feet. 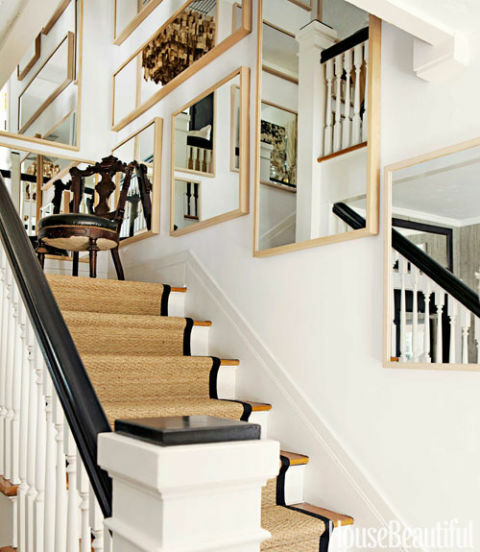 Not ideal for a small child’s room (although layering a softer rug is an option) but perfect for high-traffic areas and stairs. 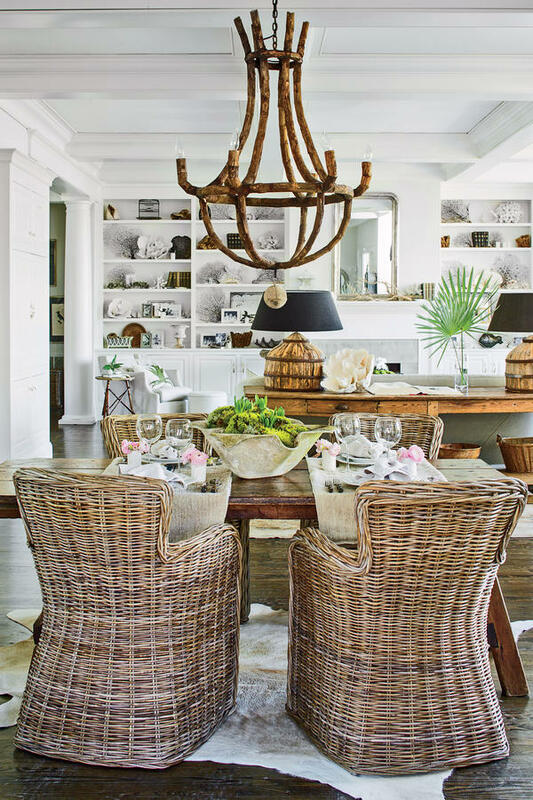 I have this seagrass rug from Ballard Designs with a matching cotton banding in both my dining room and living room. This entire renovated farmhouse is beyond stunning. Click the link under the photo to view the entire home. Gorgeous room with a layered cowhide by Park and Oak. Another layered situation and the cover of Lauren Liess’s beautiful book. Love, love, love her casually elegant, organic style. She uses seagrass often in her projects and has her own rundown of natural rugs here. Jute rugs, woven from vegetable fibers, win the softness contest but they are much less durable. They are thicker than seagrass and sisal but are also prone to shedding. Unlike seagrass, they aren’t bound and often have a decorative fringe around the edges. They can stain and even develop mildew or mold if left damp. They vacuum up well but should never be cleaned with liquid spray cleaners. Jute rugs are not sold with a backing and therefore can be flipped over if necessary. Below you can see the thicker, looser weave of the jute. Two words. Sisal stains. Even water can stain a sisal rug because the fibers are very porous. Because of this, the rugs can be dyed in different colors. Sisal rugs are often woven with cotton or wool into patterns such as diamond or herringbone. 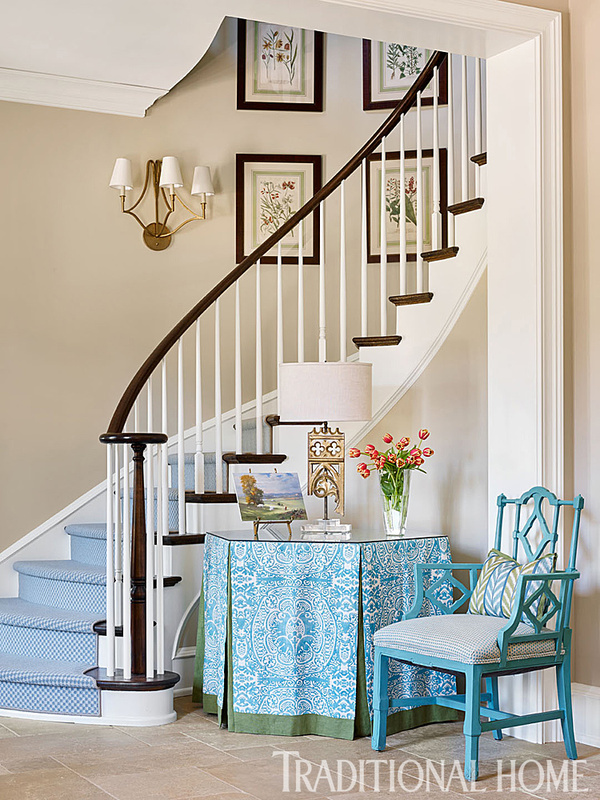 The texture can be more “slippery” than seagrass or jute, so it shouldn’t be used on stairs or high traffic areas. Because the weave is tighter, it can lend a more polished appearance to a room. There you have it! 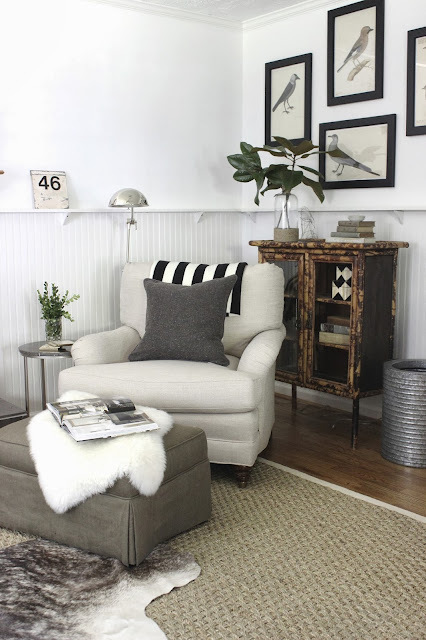 The good bad and the ugly when it comes to natural area rugs. As you can see, there are pros and cons to each. Before making your decision, think about the function of the space, the amount of traffic through the room and your family’s lifestyle. From there, choose a weave and style that appeals to you. As promised, today’s gift guide is for men. Husbands, dads, brothers, uncles, sons…there’s something for all of the guys in your life. I love that everything I’ve featured is crafted by an independent maker. Men can be difficult to buy for, so I’m excited that I found such cool stuff! Thankfully my husband rarely reads my blog posts, because a few of these gifts are going under our tree! Did I mention that nothing is over $36? And the cable/cord keepers come in a set of three so I think I just might keep one for myself 😉 No more knotted up earbuds!